I investigate the reciprocal relationship between social accounts of knowledge production and efforts to increase the representation of women and some minorities in the academy. 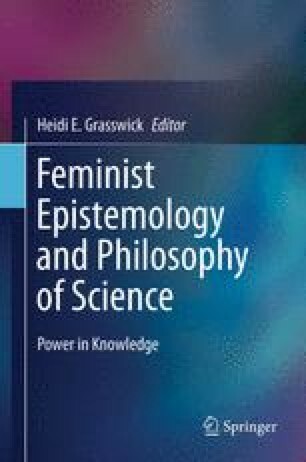 In particular, I consider the extent to which feminist social epistemologies such as Helen Longino’s critical contextual empiricism can be employed to argue that it is in researchers’ epistemic interest to take active steps to increase gender diversity. As it stands, critical contextual empiricism does not provide enough resources to succeed at this task. However, considering this view through an employment equity lens highlights areas where such theories need to be further developed. I argue that views such as Longino’s ought to attend to nuances of community structure and cultural features that inhibit critical social interactions, if we are to maximize the epistemic as well as the ethical improvements associated with a social approach to knowing. These developments advance these epistemic theories for their own sake. They also help develop these theories into a tool that can be used by those calling for increased diversity in the academy. I am grateful to Heidi Grasswick for generous help with various drafts of this paper and for unflagging professional and personal support. Warm thanks also to Sharon Bird, Sandra Gahn, Margaret Holmgren, Katie Plaisance, Anastasia Prokos, Diane Price-Herndl, Dave Saldana, Kate Padgett Walsh, Brad Wray, Alison Wylie and audiences in the philosophy departments at Duke University, Iowa State University and the University of Wisconsin-Madison. This material is based upon work supported by the National Science Foundation under Grant No. 0450821. Any opinions, findings, and conclusions or recommendations expressed in this material are those of the author and do not necessarily reflect the views of the National Science Foundation. Summers, Lawrence. January 14, 2005. Remarks at NBER conference on diversifying the science & engineering workforce. In National Board of Economic Research (NBER) conference diversifying the science & engineering workforce: Women, underrepresented minorities, and their S&E careers. Cambridge: Harvard University, The Office of the President. http://www.president.harvard.edu/speeches/summers_2005/nber.php.